Yet again, polaroids are reinvented with another image app. 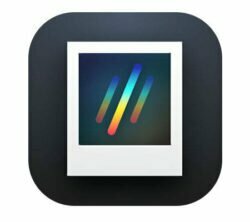 As a big fan of the Polaroid brand, I was very excited to learn about the release of the brand new app Swing. The imaging app lets you shoot 60 burst photos that develop into animated images. This is not the first app of its kind, what sets Swing apart is that you control the playback of the moving picture with the motion of your phone and your fingertips. Swing is still a very basic application, and you are not even able to comment on pictures yet. At the same time, Swing presents a pleasing minimalistic design in its simplicity and is very straightforward to use.